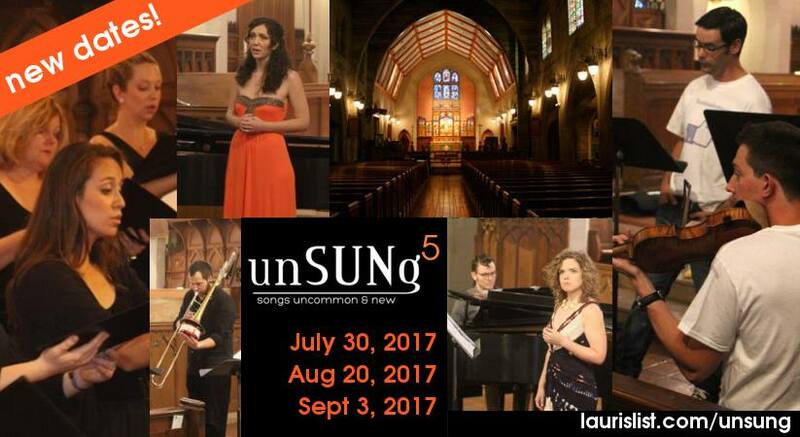 Every summer, we bring you new and neglected vocal chamber music while providing performance and live recording opportunities for professional classical singers, instrumentalists and composers. We collect passion projects from local pros, creating a unique, collaborative summer concert experience. The vibe is casual, and all concerts are recorded as a resource for the participants — think of it as an invitation to a friend’s live recording session, a rare chance to see us working on music that really gets the imagination going. Be sure to stay for a light reception, for a chance to meet the performers and network with the local vocal community.